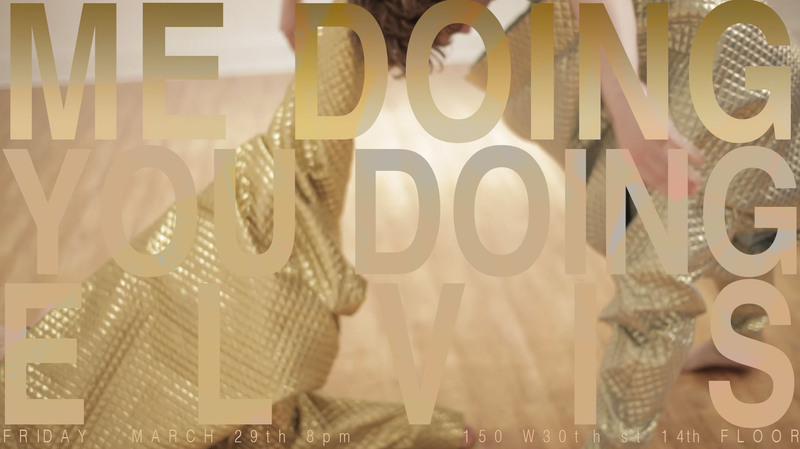 Performed by eight dancers, Me Doing You Doing Elvis is Colin Self’s first collaboration with artist Julia Crockett. MDYDE is an exploration of imitation and the way we cultivate identity (sexual, gender, cultural) by emulating the world around us–our immediate surroundings as well as media and cultural icons. The piece highlights a group of people all trying desperately to be something they are not and failing beautifully. It is packed with pop-culture nods, sexiness, silliness, vulnerability, and ultimately sincerity. The score, created by Colin Self, mirrors the choreography’s deconstruction of familiar popular dance references by sampling a variety of well-known songs from various genres, be it hip-hop, classical, or heavy metal. The wardrobe features custom one-of-a-kind oversized metallic sweatshirts designed by JF & SON and selected items by BCALLA.